Jose and his team fail to bounce back against Tottenham. Is there a World Cup hangover? Both United and Tottenham saw a large number of their players head to the World Cup this summer, and it seems that some are yet to fully recover from the tournament and their extended breaks. 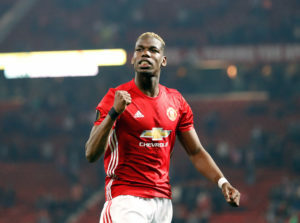 Paul Pogba is still lacking the finesse that he demonstrated in Russia, and with rumours of a move to Barcelona, the game was a prime opportunity for Pogba to make an impact and silence his critics. However, the Frenchman was extremely quiet within the game and failed to make his presence known. Another Red that appeared to be struggling was Romelu Lukaku. The Belgian international was not short of chances but failed to capitalise in front of goal, even missing an open net. Hopefully with time United’s World Cup stars will be able to find their form and avoid many of these out-of-character mistakes. Pogba had a quiet game against Spurs. Would Alderweireld have been worth the price tag? One of Tottenham’s stand-out players last night was United prospect Toby Alderweireld. The transfer target had a great game and whilst United’s defence appeared to be crumbling under the bright lights of Old Trafford, fans could not help but question, would the defender have been worth the hefty price tag? As United found themselves 2-0 down and attempted to get themselves back into the game, Lingard was played through on goal and looked as though he was in with a chance. However, the 25-year-old was denied as Alderweireld got his toe on the ball to prevent Lingard’s shot and denied United the chance to equalise, something that he did throughout the second half and certainly showed United what they could have had in defence last night. After the numerous shocking defensive mistakes that were made against Brighton, United fans expected to see a solid line of defence last night, however despite replacing Eric Bailly and Victor Lindelof with Chris Smalling and Phil Jones, there appeared to be little improvement. Jones was lucky to not concede a penalty whilst Smalling, who started off well, began to decline as the game progressed. 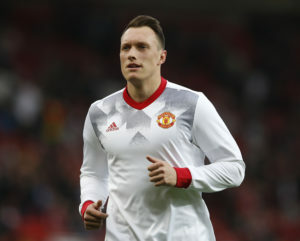 As Jones departed the pitch with an injury, Lindelof proved to be a poor replacement as he nearly set up Dele Alli, who was fortunately denied by David de Gea. Numerous individual errors once again affected United’s performance, and with Mourinho admitting that he does not know his best back four yet, it seems like the defensive issues are yet to be resolved. Phil Jones was lucky to not concede a penalty on Monday night. One player who made a good impact against Spurs was Antonio Valencia. The Ecuador international made a return for United after being ruled out with injury and reclaimed the armband. Valencia has been a great captain for Untied so far and with now nearly 10-years’ experience with United was a perfect candidate. The 33-year-old performed well on Monday night and managed to get forward regularly, displaying good pace despite the questions that have been raised regarding his speed. Valencia even tested the Spurs goalkeeper Hugo Lloris and made a solid comeback for United. 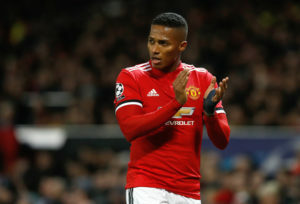 Antonio Valencia returned from injury for the Red’s against Spurs. Despite the score line United did have a great start to the game and were arguably the better side within the first 45-minutes. The Reds got off to an energetic start with numerous chances in front of goal. After the result against Brighton, which saw an unrecognisable performance from United, bouncing back against Tottenham will have been at the forefront of Mourinho’s mind. There was no lack of effort from the Reds as Mourinho’s men managed 10 shots in the first half alone. However, by the second half it all seemed to go downhill. RedArmyBet is the only bookmakers that share 50% of net profits directly with United fans.